Our next Field Day will be on August 27 – – NOT August 29, 2014. It was pointed out to me by several people that it might be a bad idea to schedule a field day on the Friday of Labor Day weekend. My only excuse is that on my paper calendar (yes, I still use paper) I couldn’t see ahead to the next week to see that Monday was Labor Day. Plus, I just didn’t think about it. 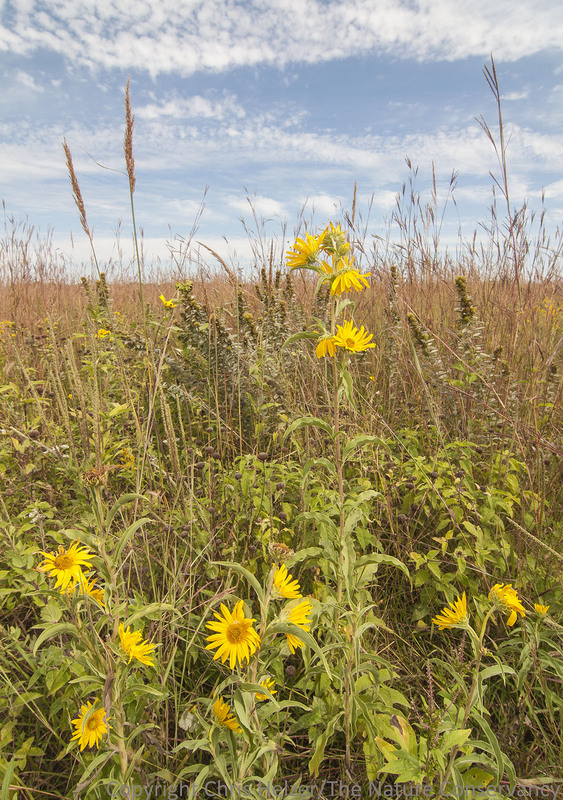 So, please consider joining us in the Platte River Prairies on Wednesday AUGUST 27 for a day of hiking, natural history, and prairie management and restoration discussion! Late August is a great time to visit the Platte River Prairies – the grasslands are loaded with yellows and golds, accented with pinks and whites, and rich with texture. The agenda is under construction, but I’ll post it soon. In the meantime, please make sure you the put the right date (AUGUST 27) on your calendar – paper or digital. We’ll have a full day of events and activities, and you can stop by for some or all of them. This entry was posted in General and tagged field day, open house, platte river prairies, tour by Chris Helzer. Bookmark the permalink. Are children welcome at any of the events (in the company of their responsible parents, of course)? Thanks! Great question, and yes, children are absolutely welcome. We won’t have any activities specifically designed for kids, but many children – including my own – have enjoyed previous field days very much. Where is the meeting place? We will be at the Derr House, our field headquarters for the Platte River Prairies. 2 miles south of Interstate 80 exit #300 (Wood River Exit) or 3 miles north and a half mile west of the small town of Prosser, Nebraska. I’ll include detailed directions in the next post on the field day or you can follow this link https://prairieecologist.com/69-2/ to see a description of the sites and another link to directions. Hope to see you there!